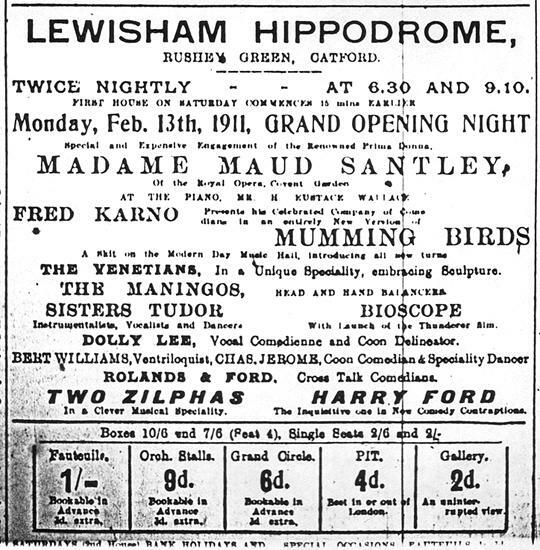 In the 1930s, Catford’s Hippodrome was one of Lewisham’s many performance venues and with 3000 seats was one of the largest music hall venues in Europe. 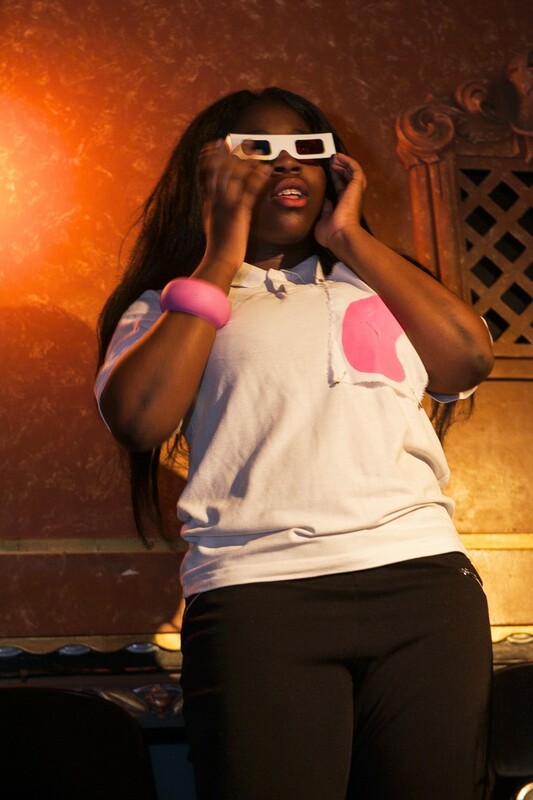 It showed live acts such as pantomime and variety shows as well as films. 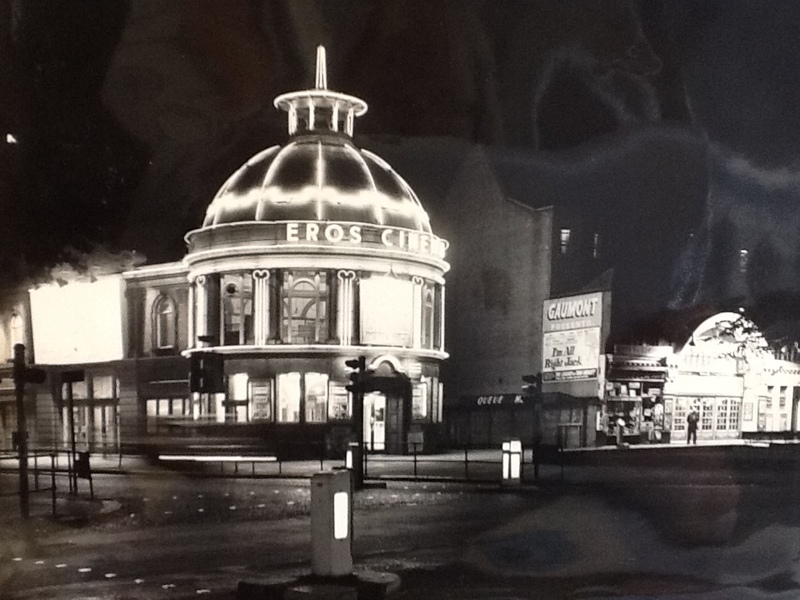 It closed for two years having been seriously damaged during the Blitz and in 1952 reopened as the Eros Cinema, a popular social spot until it closed in 1959. 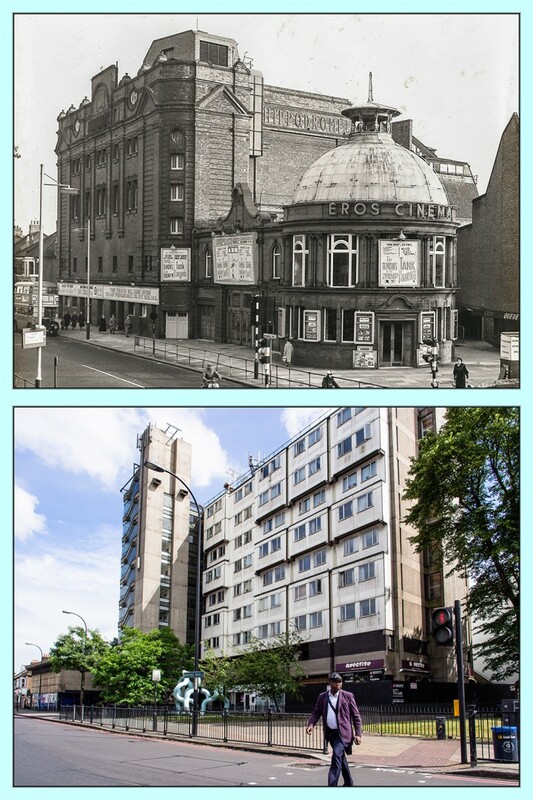 The Eros House now sits on the site of the old cinema. 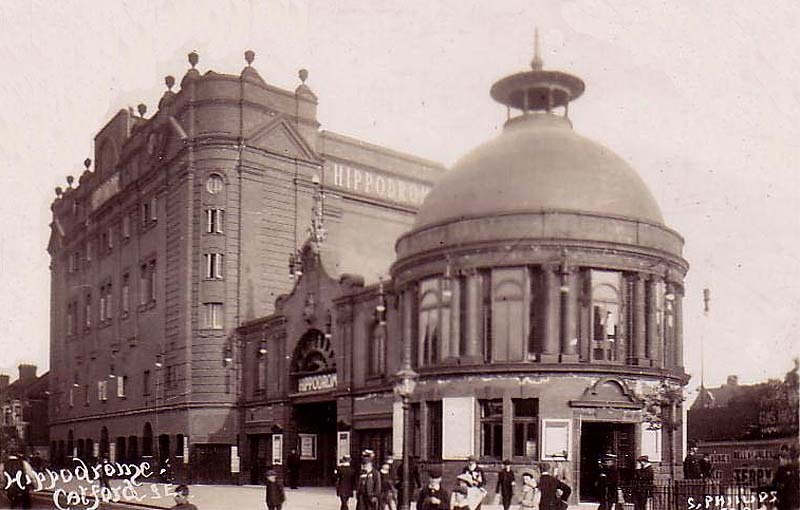 The Hippodrome was closed for two years due to bomb damage at the beginning of the Blitz and had a special reopening in 1942. 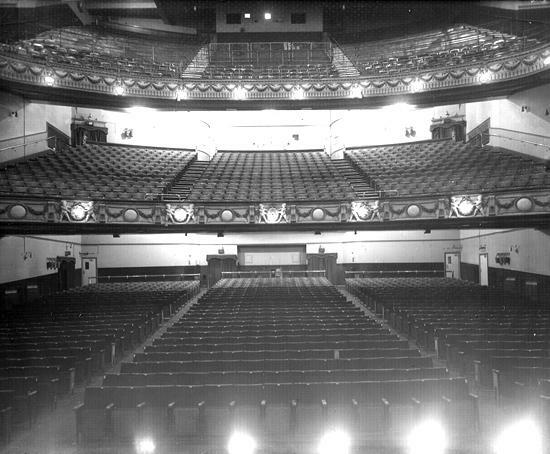 Just after the way, it became a venue for variety performances, including some big names such as Billy Cotton and his Band, Comedians like Ted Ray and Nelly Wallace, all the old names. 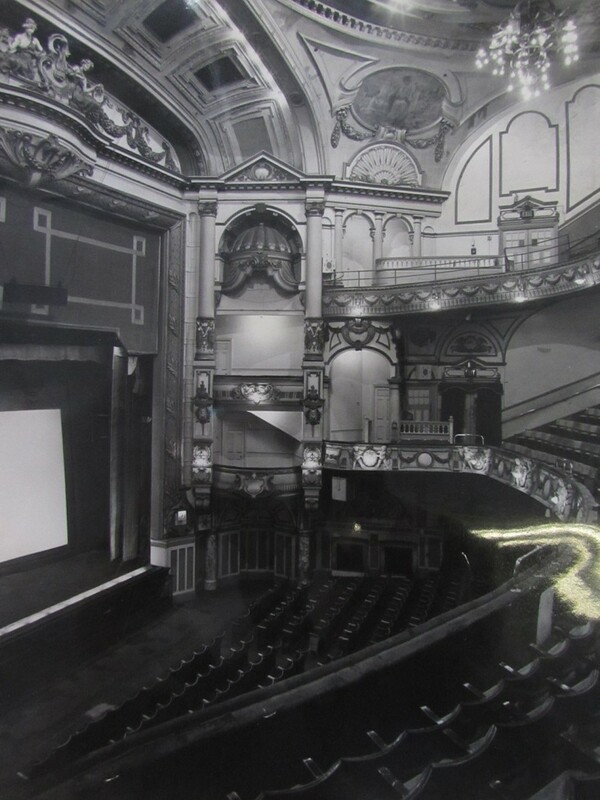 On Sunday afternoons, however, the venue became a cinema. 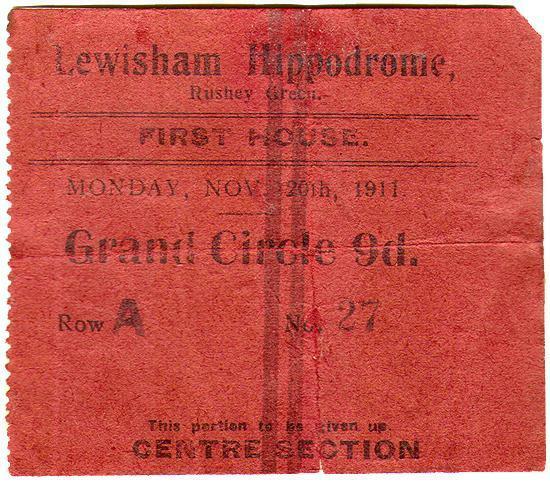 Read more about the history of The Hippodrome here. 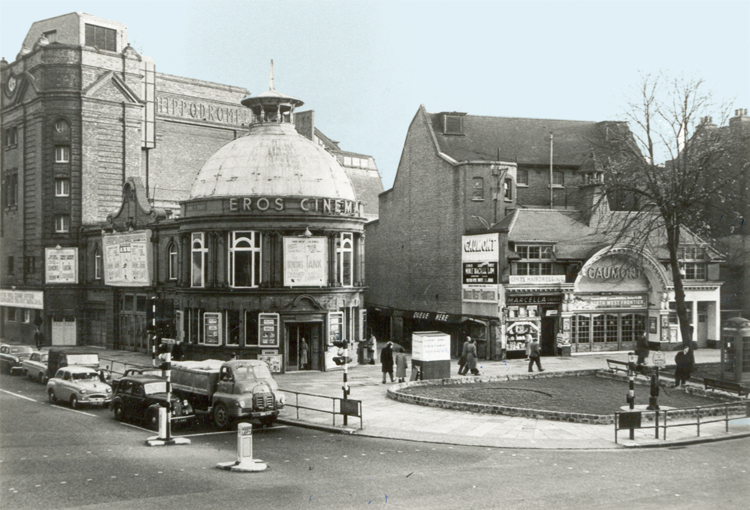 The Eros Cinema, opened in 1952 and continued to show films until its closure in 1959. 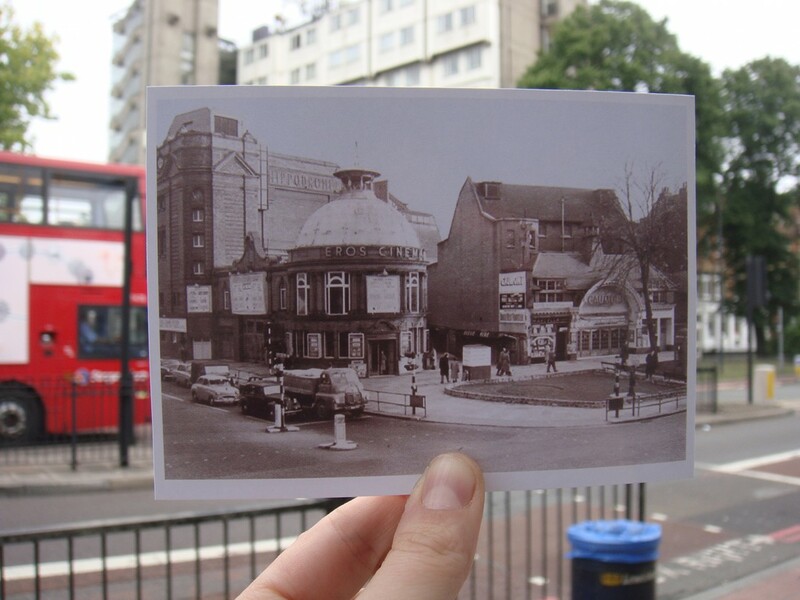 It was finally demolished in 1960. 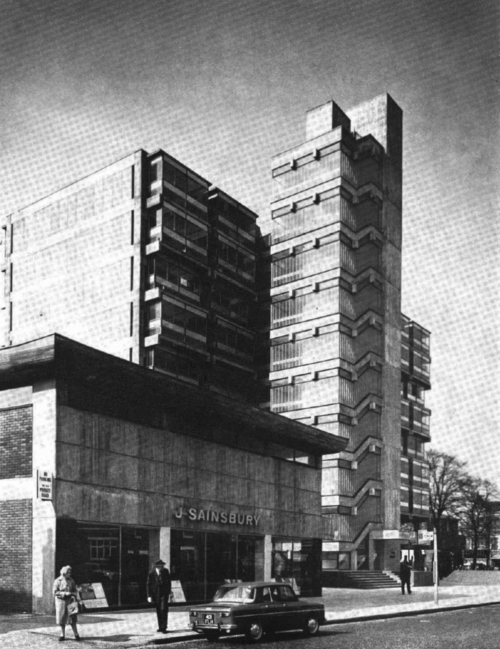 The Eros House, was built in 1962, designed by brutalist architect Owen Luder, who also designed the Catford Shopping Centre. 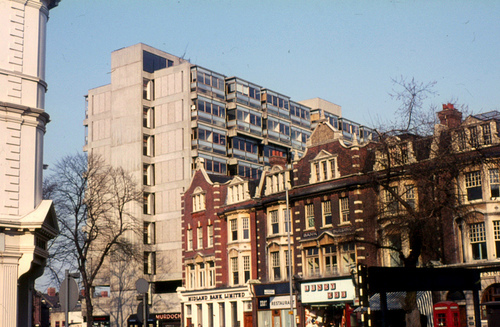 It was used by Lewisham Council until 1970 and how houses private flats. 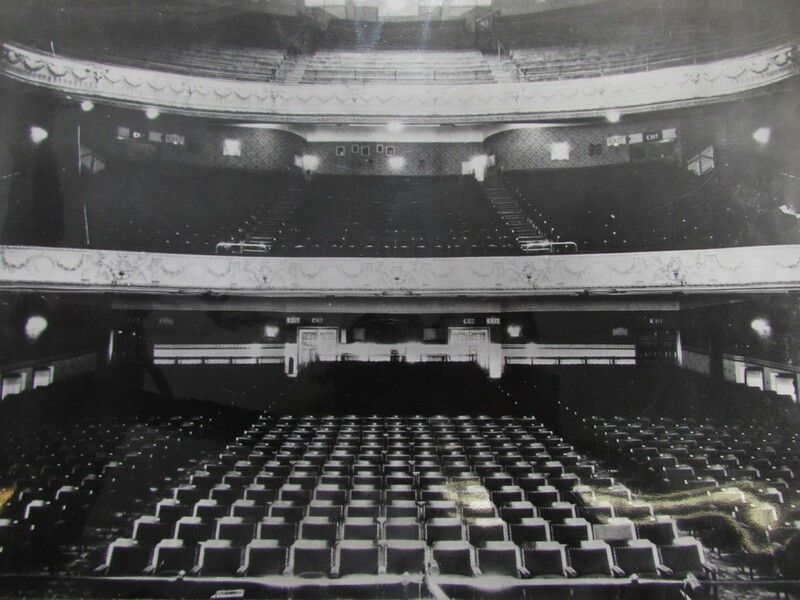 Memories of Catford’s beloved cinemas were captured in the opening scene of Catford Tales, staged in the studio at the Broadway Theatre. 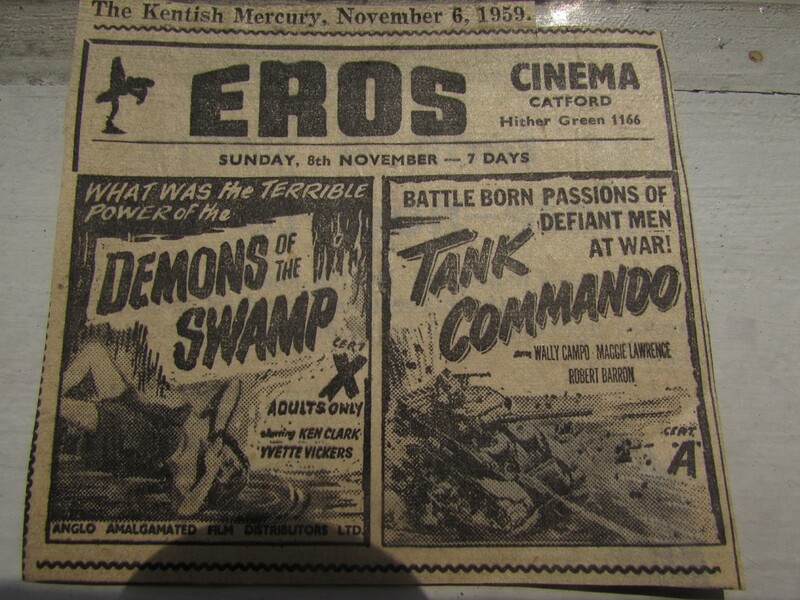 Please tell us your memories of Eros House – Hippodrome & Eros Cinema. 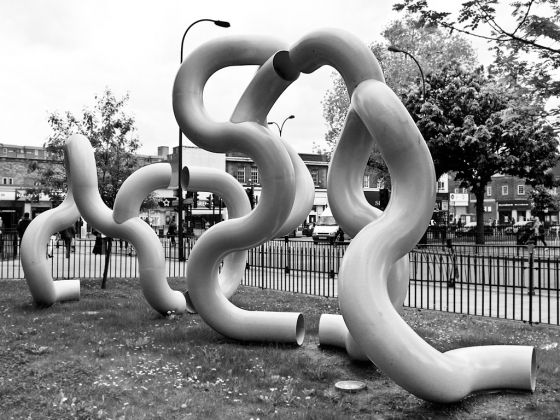 All comments will be moderated before posting to ensure community standards. To comment, click 'Login' and sign in via your social media profile.